All Optional Tours & Events can be booked at the time of online registration. Some events may have limited availability so please ensure to book early. You then depart the coach at Temple Bar and you have the evening at your leisure – grab an evening meal, have a pint or walk through the area listening to the music coming from the different locations. The coach will collect you at 2300hr (11pm) and return back to Citywest Hotel. Kildare Village Outlet- one of our congress sponsors, wishes to welcome you to spend the day with them and peruse their chic fashion and retail discount outlets. A coach will be provided to and from their location and you will be treated to VIP passes during your experience with discount offers. There is no fee to book this transfer, but depending on numbers, we will confirm the coach transfer option in Spring 2016. While in Ireland, please ensure that you make the most of your time here! 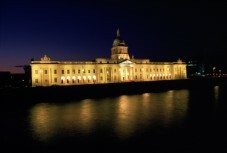 Why not take part in a post congress tour and extend your stany and explore Ireland. See the below one day options. Should you wish to take part in a longer pre- or post- congress tour, please contact our registration desk at registration@ialpdublin2016.org . For the full tour details click here with detailed itineraries! The Cliffs of Moher day tour leaves from at 6:50 am and you are back in Dublin by 7:30 at the latest that evening. You are on a circular route so that you do not see the same scenery twice the whole day. This gives you the opportunity to see new things each time you look out the window. It is important that you get time off the bus during the day so we try and maximise your off the bus experience as much as possible. You will be travelling the width of Ireland and while it’s not the biggest country in the world, it will take roughly 3 hours to get over to the city of Limerick. The detailed itinerary is below. 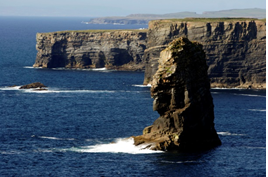 You will see that it is a full day of excitement and fun and you will get the most out of the your time seeing wonderful scenery, castles, wild remote limestone regions and of course the famous Cliffs of Moher, not to mention Galway Bay, the Curragh, the Treaty Stone, Dunguaire Castle, Fanore Beach, the Burren, Bunratty Castle, King John’s Castle, the cultural villages of Ballyvaughan and Ennistymon, Lahinch beach, sites where the Spanish Armada visited, the traditional village of Doolin famous for its music. A packed day but worth the trip! On the tour, you’ll have the unique opportunity to view the remarkable sights and scenery that Connemara has to offer. You’re bound to feel elated having the wild Atlantic Ocean on one side and the impressive Twelve Bens and Maumturk mountain ranges on the other! Connemara is truly one of the most breathtaking and mysterious regions in all the land! The endless landscape of the enchanting Emerald Isle will be a cherished memory for years to come. During your travels, our guides will educate you on the region’s flora and fauna as well as the intriguing history and mythology of this picturesque area. From the very moment you arrive, the mesmerizing beauty of the Connemara National Park will undoubtedly leave you speechless! Ireland’s second city, although the people that reside there believe that it is the “real” capital! Located right at the southern tip of Ireland, Cork is known for its historical landmarks and vibrant cultural scene. This tour will take you on a voyage through history as you visit a castle, a monastery and Cork city itself. We provide ample time for you to explore Blarney Castle and the Rock of Cashel and to relax in the surrounding gardens. You travel on a circular route so that you do not see the same scenery twice the whole day. This gives you the opportunity to see new things each time you look out the window. You will be travelling directly south to visit Cork city. The detailed itinerary is below.